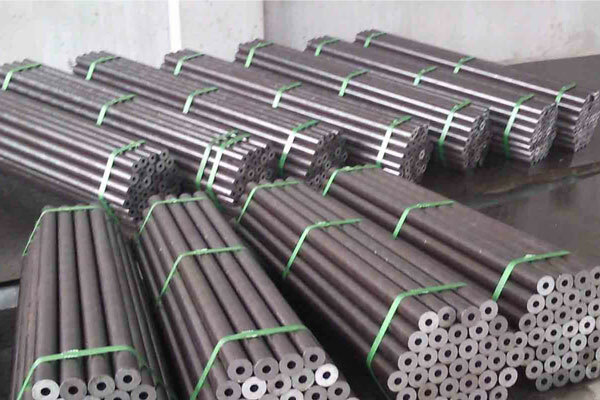 DIN 1629 Seamless Steel pipe Of Non Alloys Steels are made of unalloyed steels, it's main grades are St 37.0, St44.0, St52.0, Din 1629 seamless steel pipes application fields are: chemical plant, vessels, pipework construction and for common mechanical engineering purposes. Normally DIN 1629 standard are manufactured with no limiting working pressure values. Working temperature is limited below 300℃. ¹) For cold f inished tube in the NBK condition (annealed above the upper transformation point under shielding gas or in a vacuum), minimum values of yield stress lower than these valued by 20N/mm² are permitted. ²) For cold finished tubes in the NBK condition, minimum values of tensile strength lower than these values by 10N/mm² are permitted. Tiancheng Group supplies DIN 1629 Seamless Steel pipe and other steel grades tubes for high pressure and temperature applications, if you are interested in buying seamless boiler tubes from reliable steel mills, please send an email now!